https://www.tradingdepot.co.uk/galassia-gax-611-stainless-steel-kitchen-sink-left-hand-drainer 2151 Franke Galassia GAX 611 Stainless Steel 1 Bowl Sink, Left Hand Drainer https://www.tradingdepot.co.uk/media/catalog/product/1/0/1010022272_1.jpg 134.62 134.6200 GBP InStock /Kitchen/Kitchen Sinks /Brands/Franke/Franke Kitchen Sinks/Franke Stainless Steel Kitchen Sinks/Franke Galassia Stainless Steel Sinks /Kitchen/Kitchen Sinks/Stainless Steel Kitchen Sinks Franke Galassia GAX 611 inset single bowl stainless steel sink with left hand drainer is perfectly suited for any kitchen. 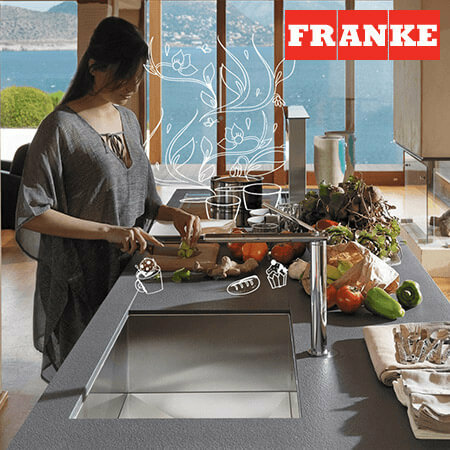 Franke stainless steel inset sink brings a classic elegance along with real practical benefits. It is very hygienic and capable of withstanding extreme temperatures, perfect for a busy, modern kitchen.